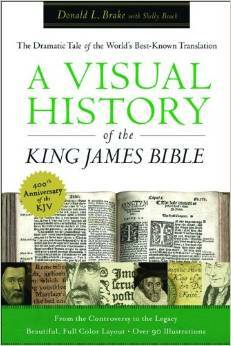 Israel Wayne has written a book that has been needed since the renewal of the homeschool movement 40 years ago. This book is the Walmart or Costco of consumer information for homeschoolers. For the new homeschooler or investigator of homeschooling, this book will give you everything you need to know, and more, in one book. The answers to the critical questions every homeschooler has at one time or another are found in this book and are easy to understand. The bottom line is that Israel’s book is the first place any homeschooler should go to have their questions answered. And it could be the only place that one would have to go for this critical information about the homeschool world. Israel is owed a great deal of gratitude for finally giving us what we have needed for years. You may not view yourself as a veteran homeschooler. But if you have been homeschooling for any time at all, people who are new, or just looking into it, are probably looking to you for answers and direction. Israel Wayne has written a book that will answer almost every conceivable question, doubt and critic regarding home education. 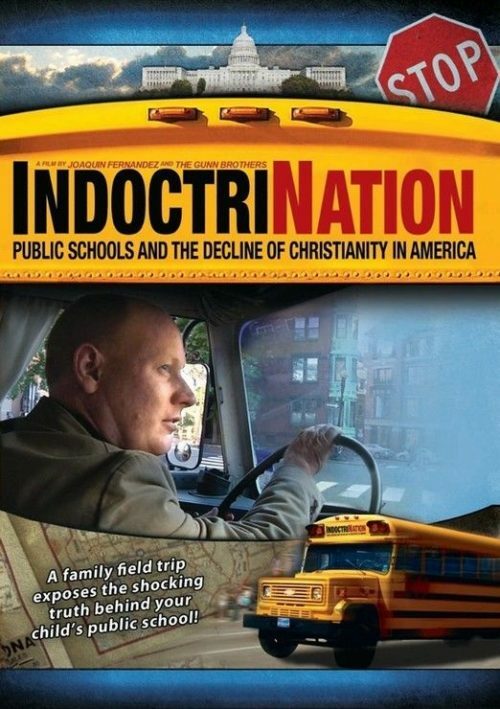 Israel is a homeschooled graduate (whose family began homeschooling in 1978), and he and his wife, Brook (also homeschooled), homeschool their nine children. Israel has worked full-time in the homeschooling publishing world since 1993, so there is literally no objection to homeschooling he has not encountered. Answers for Homeschooling – Top 25 Questions Critics Ask, is the one single resource your friends will need to get them motivated and give them confidence. 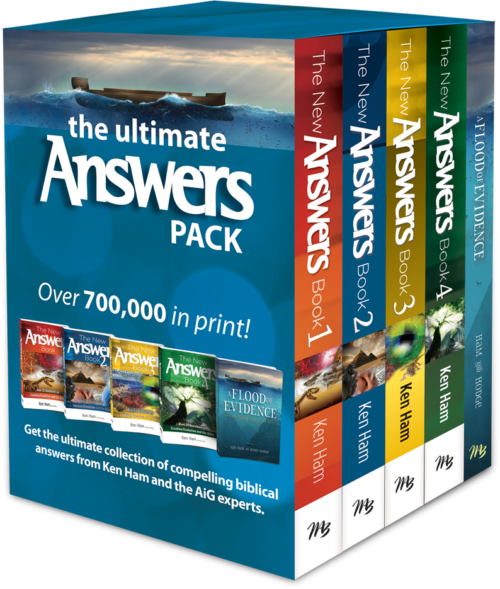 This special 5-Pack (5 copies of Answers) is designed for you to have extra copies to give away to your friends. 2. Are You Qualified to Teach Your Child? 3. How Can You Afford to Homeschool? 4. Is That How It’s Done in Public School? 7. Isn’t Sheltering a Child Harmful? 8. What about Being Salt and Light in Public School? 10. Will Homeschoolers Be Good Citizens? 11. What If I Don’t Have Enough Patience? 12. What Does Dad Do in Homeschooling? 13. Can Every Family Homeschool? 14. Are You Cut Out for This? 15. Won’t I Be Wasting My Own Education? 16. What about Public School at Home? 17. What about Vouchers for Homeschoolers? 18. How Can You Teach Multiple Grades? 19. What about Special Needs Education? 20. What about Extracurricular Activities? 21. What about High School? 23. How Can You Find Time for Everything? 24. Do You Know What Causes That? 25. How Should I Respond to Opposition? We have worked with Israel Wayne since our first event in 2012. Each year, he has been a tremendous blessing to the homeschool families that hear him speak. 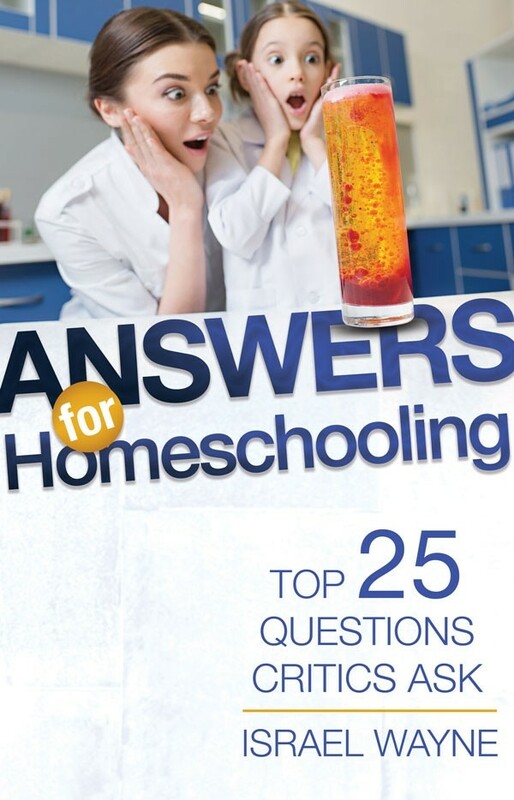 Now, he has distilled the wisdom and knowledge he offers in his workshops into an incredibly helpful book called Answers for Homeschooling. 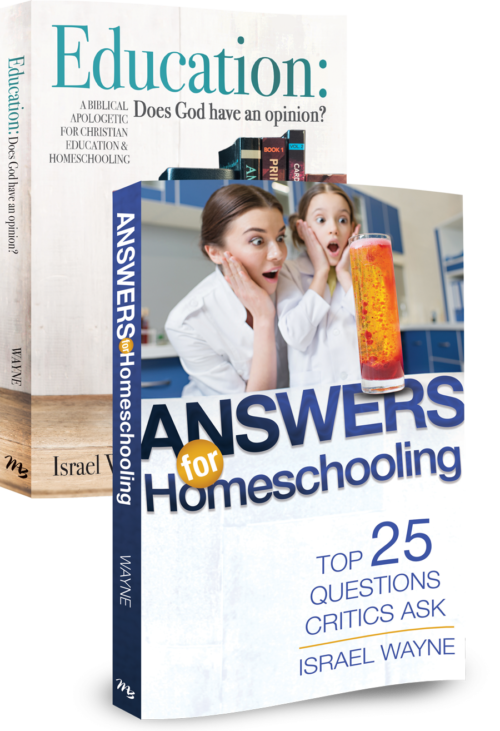 By weaving historical information and statistical data with incredibly practical advice from a homeschool veteran, Israel gives you solid answers to questions you may not even know to ask yet. 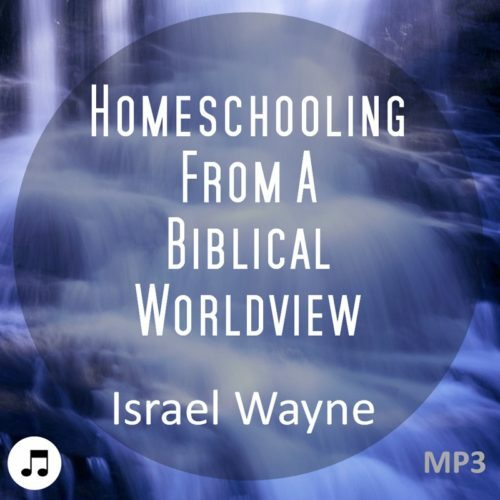 Every year more and more Teach Them Diligently families discover just how wonderful Israel Wayne is, and with Answers for Homeschooling, he has written a “must read” for homeschool families. Do you or the people around you have some concerns about homeschooling? 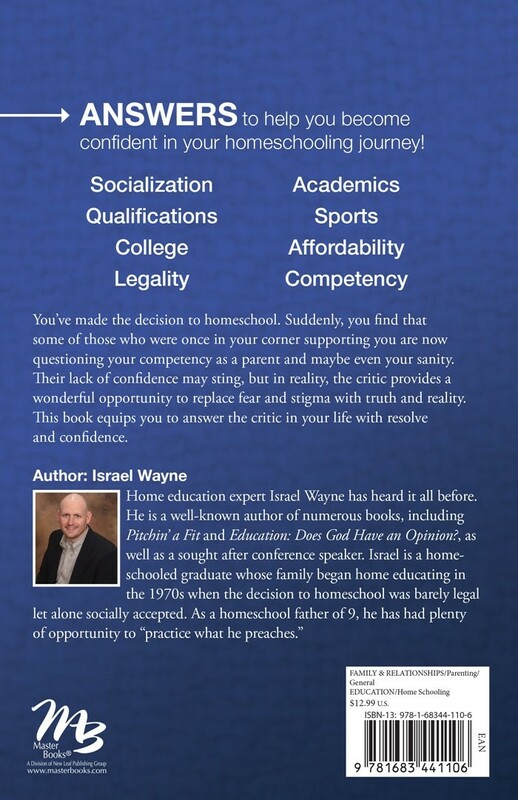 Israel Wayne’s book answers those concerns in a thoughtful and concise manner giving you the confidence to homeschool your children. Israel is a product of the early homeschool movement and a leader in the current movement. His book, Answers for Homeschooling is a must read for anyone considering, or in the thick, of home educating their children. I have known Israel for many years and appreciate his desire to teach and encourage families. As I began reading this book I was impressed by the scholarship and practical nature of his insights and counsel. 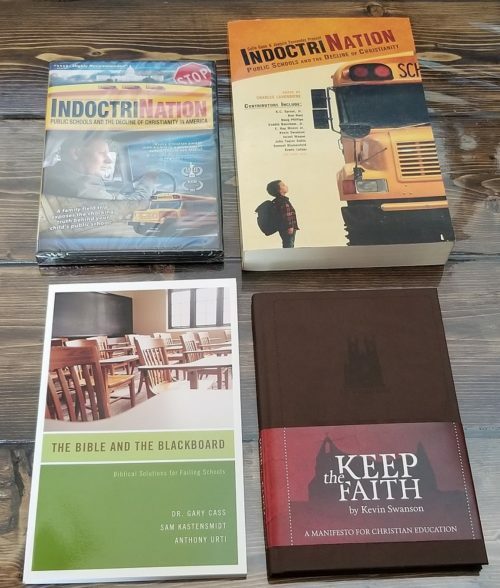 Even though we began teaching our four sons at home in the early 80s, and I know most of the history and key players in the home education movement, I was captivated by the information and found myself looking forward to reading more. I particularly enjoyed the pluses and minuses of each educational option. Israel has done his homework, and coupled with his experiences of being home taught himself and teaching his own children speaks with depth and practicality. This book is a wonderful resource for parents considering home education and those who are engaged in the special journey of teaching their children to love forever. I heartily commend it to you. Many families fail to consider homeschooling seriously because of misconceptions about what homeschooling involves. 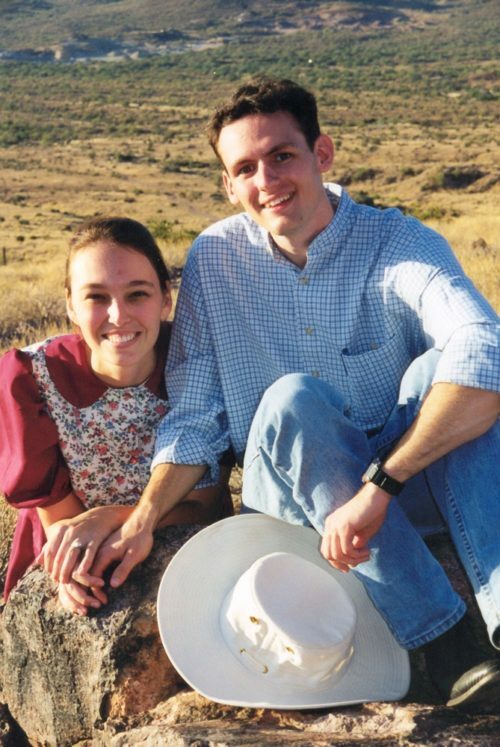 In Answers for Homeschooling, Israel Wayne and his wife, Brook, dispel those misconceptions by answering nearly every question about homeschooling that parents might have. 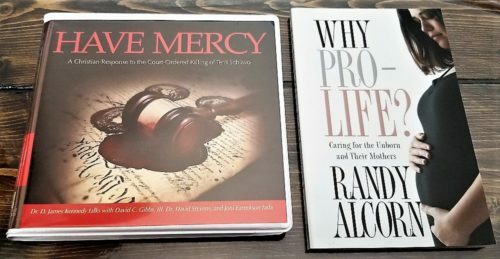 There has never been a time when it has been more vital to rescue our children from the intellectual, moral, and spiritual pathologies of government schools, and I am convinced that the information provided in Answers for Homeschooling will lead many more families to experience the joys and rewards of homeschooling. 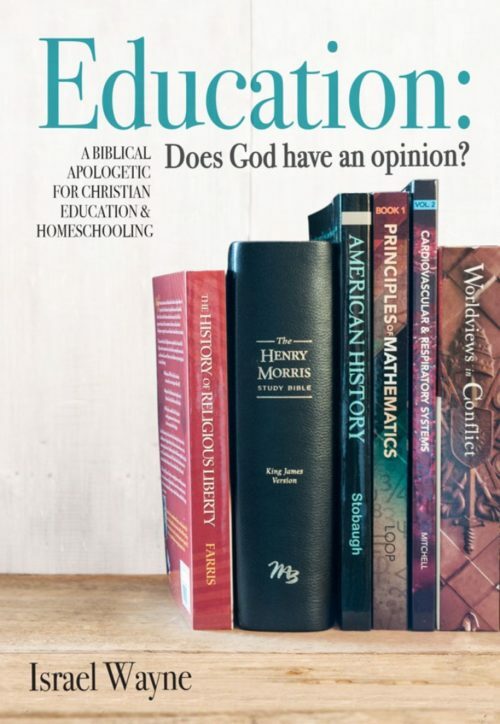 When my friend Israel asked me to review his new book, Answers for Homeschooling, I raised the very question he said his readers would probably ask, “Why another book on homeschooling?” As I started to read the book, however, I found myself saying, “Yes! 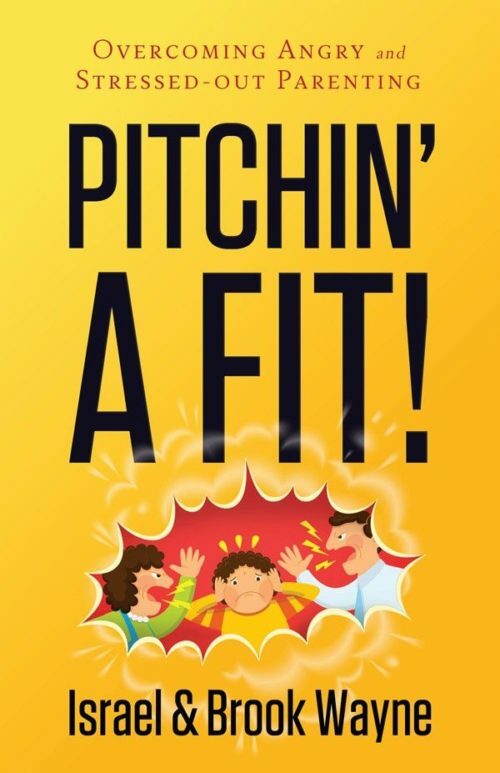 This book is needed!” Like Israel (even though I wasn’t homeschooled), my late husband Chris Klicka — who Israel mentions in his book — and I taught all seven of our children at home in the early days of the modern homeschool movement. Chris’s legal work with HSLDA in the 1980s and his books on homeschooling in the 1990s, The Right Choice: Homeschooling and The Heart of Homeschooling were instrumental in helping to create a free and supportive climate homeschooling families now freely enjoy. However, that freedom isn’t guaranteed. Because of this, Israel not only makes a compelling case for why we need to learn about the roots of this truly miraculous movement of parent-led education in America, he helps parents understand how very possible it is for them to provide best what their children need. He invites you to raise the challenging questions many ask concerning home education, and then adeptly answers them. 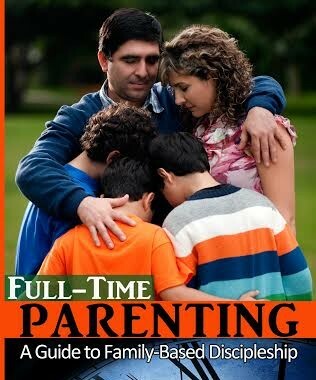 This book will help equip you, the parent, as you consider embarking on one of the most exciting and rewarding journeys with your children! As the home education movement is growing by the millions of children in America and around the world, many parents have questions. 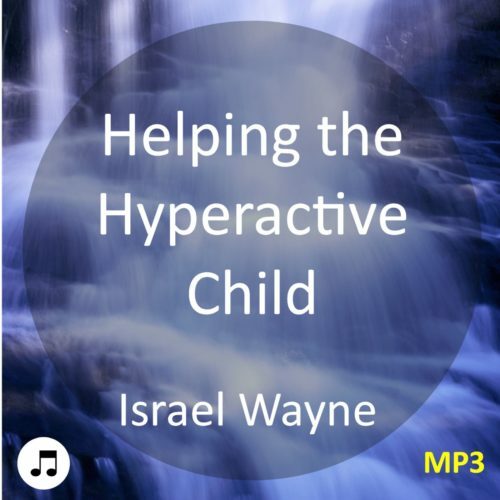 Homeschooling pioneer Israel Wayne provides helpful and balanced answers to the most common questions posed. 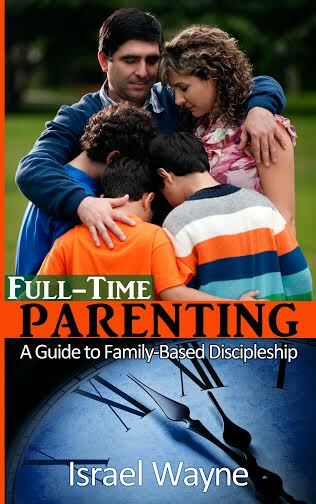 This book will help parents avoid common pitfalls and help them to succeed in the discipleship of their children.